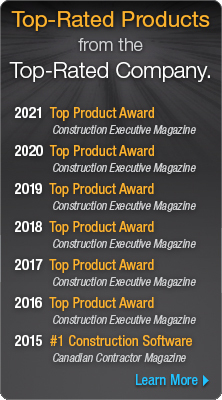 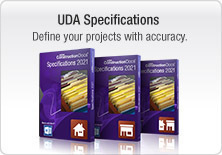 Updated regularly by leading construction professionals, UDA Construction Contracts and Forms include clauses for scope of labor and materials, permits, insurance, scheduling, clean-up, payment schedules, arbitration, and toxic mold to address the latest critical issues in the industry and provide professional solutions for your project management needs. 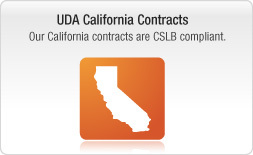 UDA Contracts and Forms include optional Arbitration Clauses approved by the National Construction Dispute Resolution Committee and endorsed by all 22 major construction trade organizations. 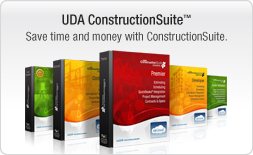 The following Contracts and Forms are included in the UDA Contract Templates package and all versions of ConstructionSuite™. 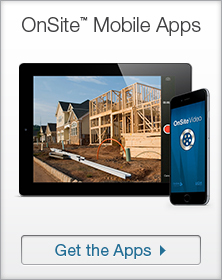 Sub-Contractor Payment Guidelines, Change Orders, etc. 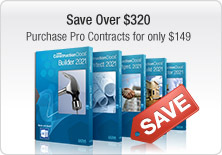 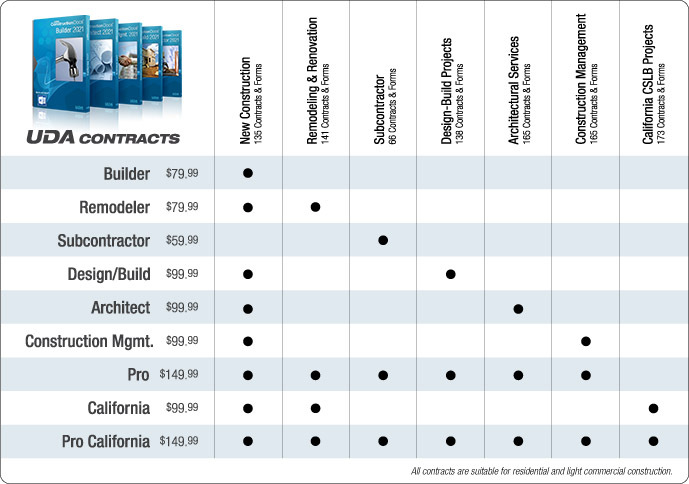 The following Specialized Construction Contracts and Forms are only available in other Contract Template packages or ConstructionSuite™ Pro versions and above.